An unknown amount of kerosene oil leaked from the boiler unit. Internal hydrocarbon malodours and elevated PID reading in the house, notably in the sitting room. Laboratory analysis of an ambient air quality sample from the sitting room confirmed unacceptable levels of a number of contaminants associated with kerosene. Physical and analytical evidence of oil contamination was encountered in concrete and soils beneath and surrounding the boiler house. 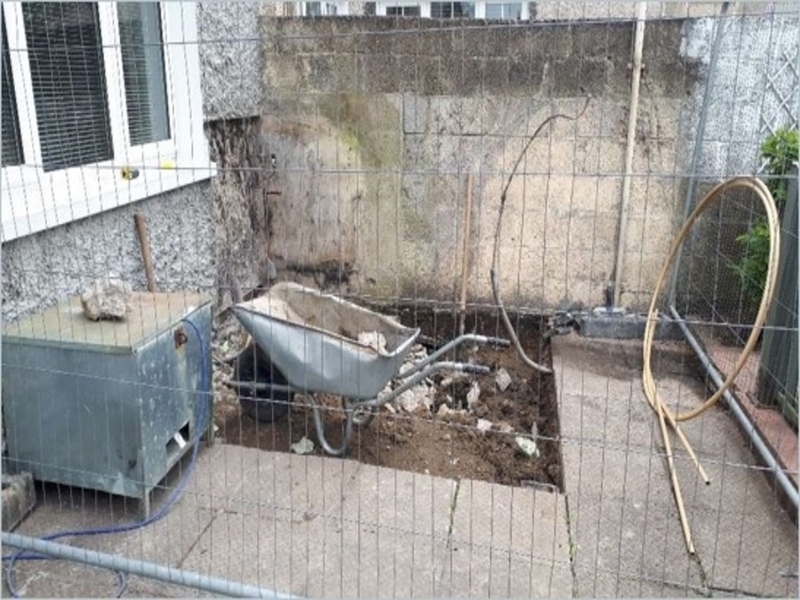 Oil contamination in rising blockwork at the east house wall and the heating pipe insulation which is likely causing the oil odours within the home. Perched water encountered at approximately 0.40mBGL adjacent to the east house wall. Removal of garden shed prior to Verde’s mobilisation to site to carry out the remedial works. Installation of a VEU at back of the house to assist in the removal of internal hydrocarbon odours. Removal of a section of paving slabs from back garden. Disconnection and removal of boiler unit. The boiler house was demolished. The identified contaminated soil and fill material beneath the boiler house was excavated and removed. Identified contaminated rising wall blockwork was replaced with new blocks. 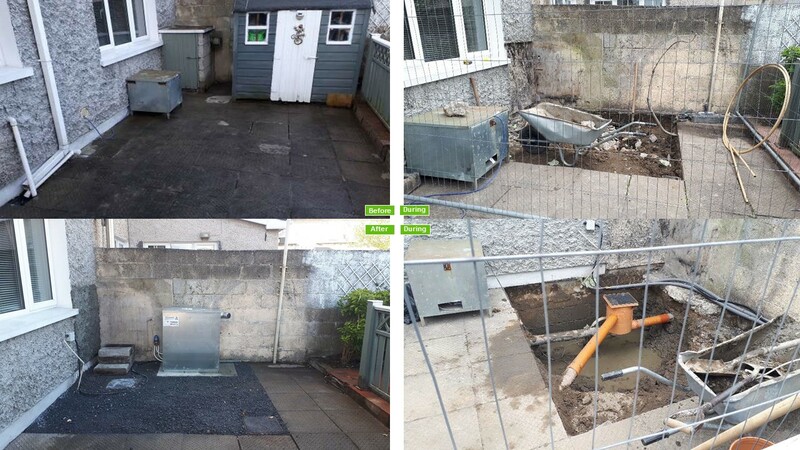 Specialised treatment solutions were applied to the base and sides of the excavation over a number of weeks to treat residual contamination at depth. A final sampling exercise was undertaken to examine soil and interior air quality at the previously affected areas. Replacement of external insulation and mesh. Backfill of excavation with granular backfill material and compacted at regular intervals as per building regulations. A new boiler base was poured in the former location of the boiler house. A new concrete oil tank base was poured in the back garden. A new oil tank was reinstated on the new oil tank base. A new boiler unit was reinstated on the new boiler base and heating system was recommissioned. The external wall at the back of the house was wet dashed.